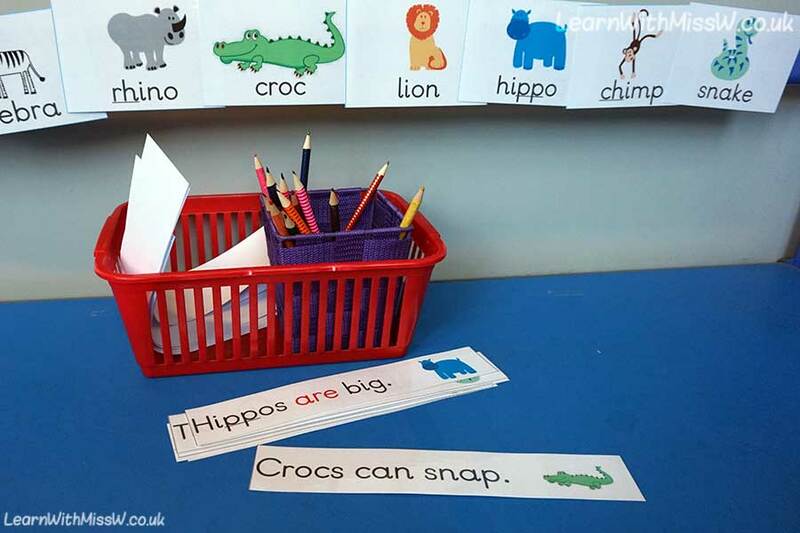 My children love these sentence writing activities. ‘Rumble in the Jungle’ and ‘Never Tickle a Tiger’ are 2 of our favourite books this year, so I have made a writing area about animals. I have tried to use short words with regular spellings. The red words and underlines correspond to our phonics scheme Read Write Inc. Hopefully this will inspire my children to have a go at writing their own ideas as well.